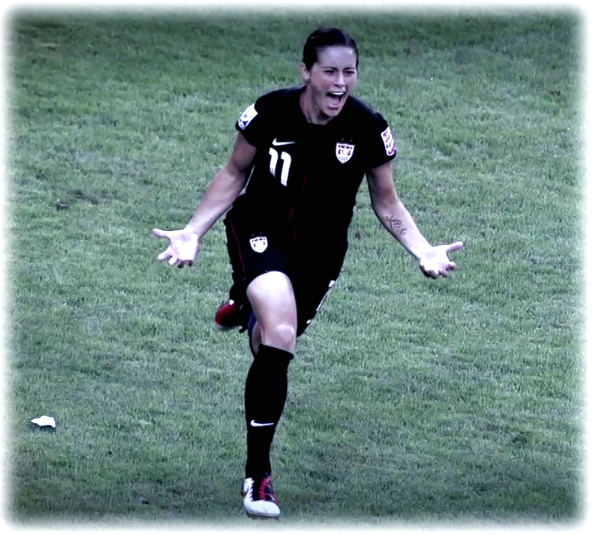 Ali Krieger celebrates her game-winning PK at the 2011 Women’s World Cup semifinal. 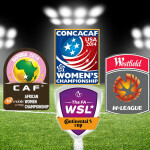 Women’s World Football Show welcomes US Women’s National Team defender Ali Krieger. In this exclusive 1v1 Kriegs shares her experiences about playing in Germany and what it taught her on and off the pitch. 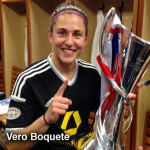 The crafty wingback gives us insight on how she and her teammates deal with the pressure of playing on one of the best teams in the world, why ‘quit’ is not in her vocabulary, what she really thinks of her rabid fan base, and so much more. 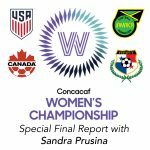 If you’re a Kriegs fan you won’t want to miss this and if you’re not, you will be after you check out this insightful interview. Alana “Postgame Gator” Johnson interviews Bayern Munich striker Katie Stengel. All this and Barry the Canadian Beaver chimes in with the only two words in his vocabulary lately. Fade out music by Miley Cyrus. Episode 1: Welcome to the Premier!